welcome and good luck with your product. how much wud the xp range cost.i want them for my 98 corolla gli.4Afe.i need 12 plugs. Need 4 Plugs for my Margalla, How much cost? Assalam Alekum sir, what will be cat no. or code no. of your plugs for accord cf3 2001 engine code: F18B and also do u have performance plug wires also do let me know because need to buy in this week. 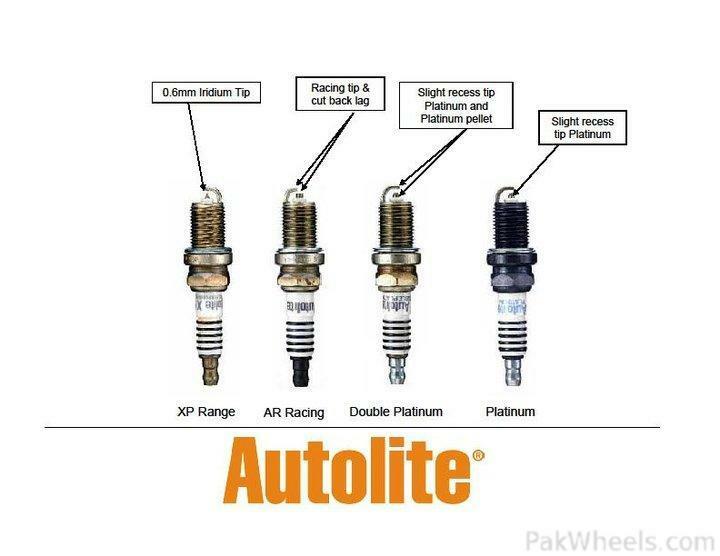 The plugs for margalla are AUTOLITE platinum AP63.Price is Rs.300. 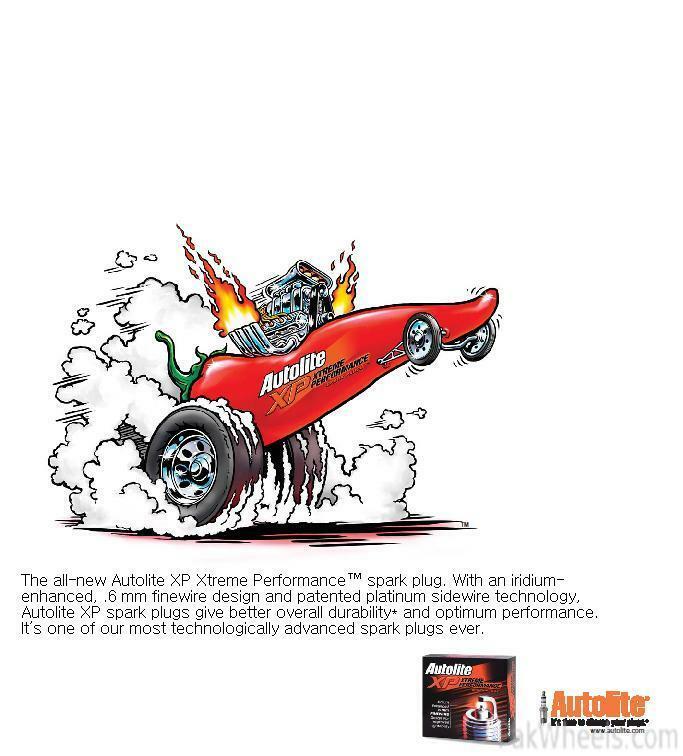 1.AUTOLITE xtreme performance iridium XP3923.Price is Rs.850 per piece. 2.AUTOLITE platinum AP3923.Price is Rs.300 per piece. bro wht u recommand for my civic2005? no cng? Thanks for reply... how much Plug Wires Cost? can i put these in my honda cg125??? The spark plug for cg125 is xtreme sport iridium.The part number is XS4163DP.It is available at mentioned shops in Lahore. 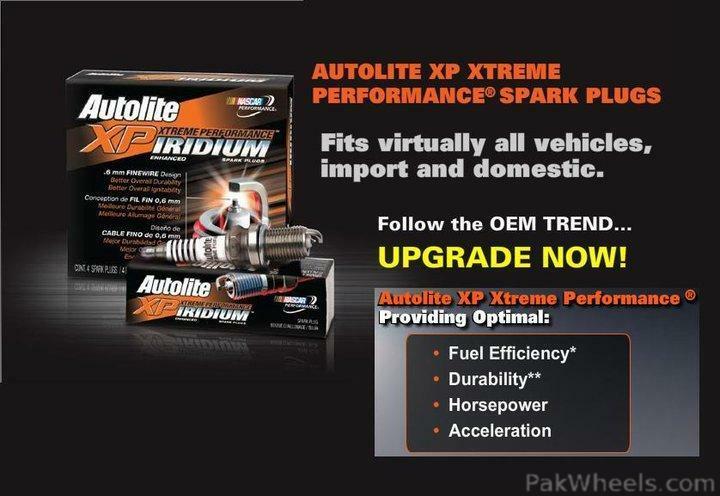 Brother The plug for your Honda Civic is autolite platinum AP3923(Rs.300 per piece).If your car has no cng,it means you have a taste for good driving.In that case I recommend Xtreme performance iridium XP3923(Rs.850 per piece).You will definitely enjoy the ride.